Russian-Pakistani military drills ‘Friendship 2018’ will be held in the mountains of Pakistan from October 21 until November 4, Head of the Russian Southern Military District Vadim Astafyev told reporters. “The joint drills of units of the Russian and Pakistani armed forces ‘Friendship 2018’ will be held from October 21 until November 4 at the training range of the National Counter-Terrorist Center in Pakistan’s Pabbi. More than 70 mountain shooters from Karachay-Cherkessia will take part in the drills,’ Astafyev said. The servicemen from the two countries’ armed forces will perform tasks at the altitude of 1,400 meters above the sea level. Astafyev reminded that ‘Friendship’ drills have been held since 2016. In 2017 over 200 servicemen took part in the drills. 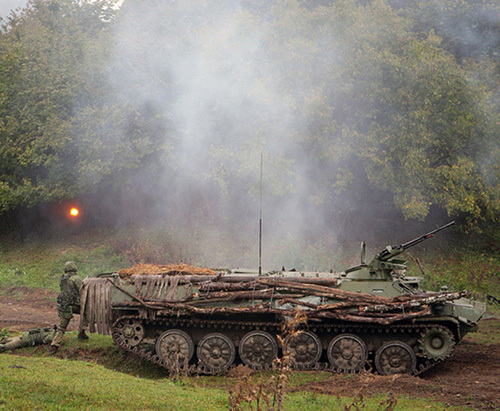 The military exercise was held in the North Caucasus on the altitude of 2,300 meters above the sea level.